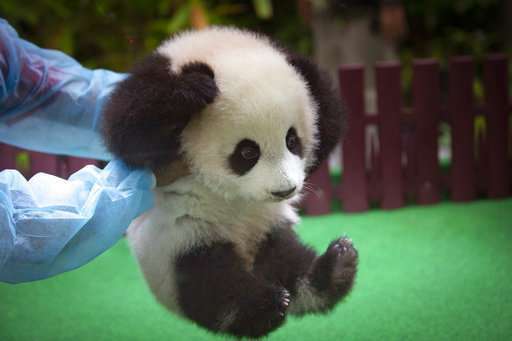 A baby panda born in a Malaysian zoo five months ago made her public debut Saturday. 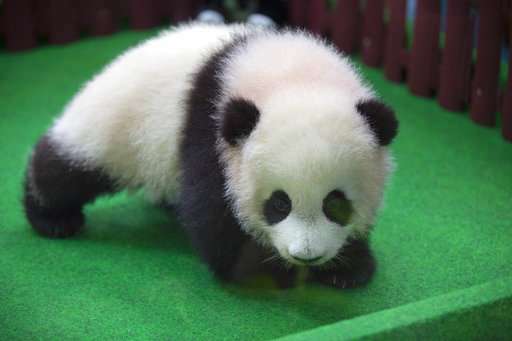 The female, which has not yet been named, is the second offspring of giant pandas Liang Liang and Xing Xing, both of which are on a 10-year loan to Malaysia since 2014. 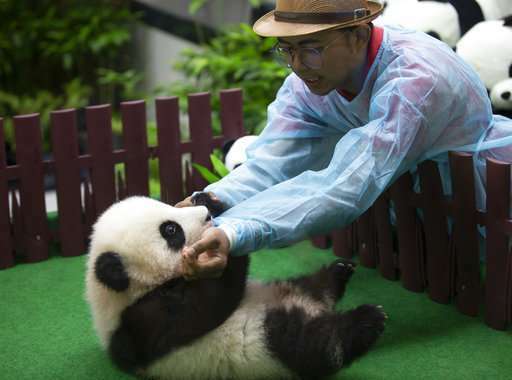 The first cub, a female called Nuan Nuan born in August 2015, was sent back to China last November as part of a deal with Beijing to return cubs born in captivity at age 2. 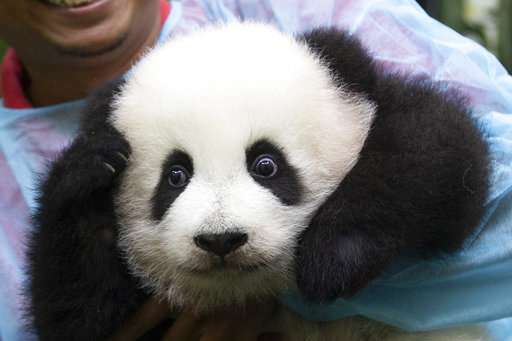 Members of the media watched and filmed the cub in an air-conditioned enclosure at the national zoo through a glass shield. 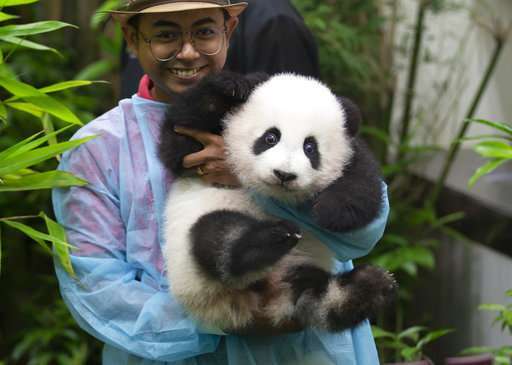 Zoologists said the healthy cub weighs 9 kilograms (19.8 pounds) and will face the public later Saturday. 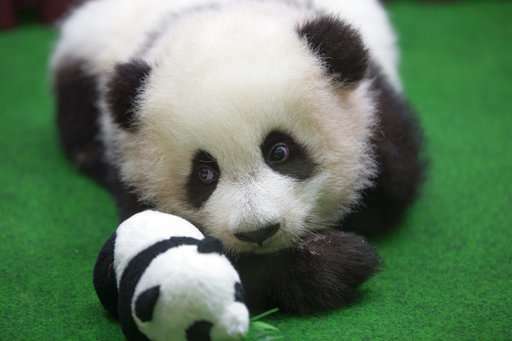 Zoo officials have said the giant panda pair broke the world record for a second baby in four years via natural reproduction. 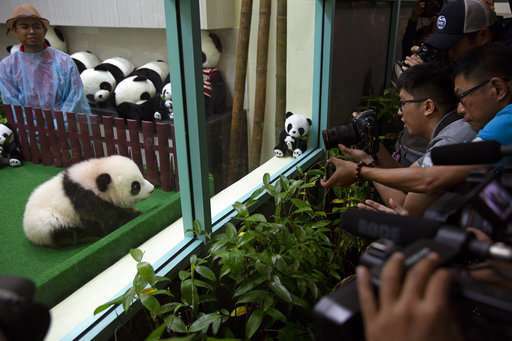 Malaysia's national zoo has invested hundreds of thousands of dollars on a panda complex including bamboo trees mimicking their natural habitat, after China loaned the cub's parents to mark 40 years of diplomatic relations with Malaysia. 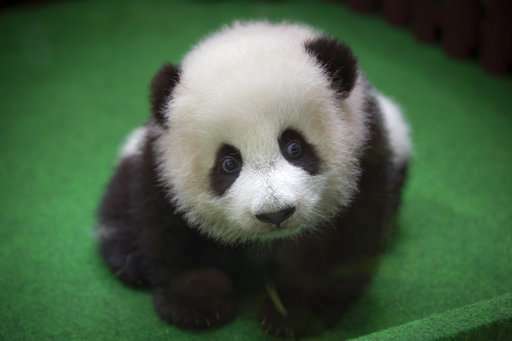 According to WWF, there are 1,864 giant pandas in the wild, living mainly in bamboo forests high in the mountains of western China and subsisting almost entirely on bamboo. The pair arrived just weeks after a Malaysian plane carrying 239 people, mostly Chinese citizens, disappeared in March 2014 while flying from Kuala Lumpur to Beijing. Chinese media at the time criticized the Malaysian government and Malaysia Airlines over their handling of the tragedy. The jet still hasn't been found.